We still have pumpkins in the field, so you can pick your own pumpkins if you would like to. Pumpkins were early this year with many of them ripening in August. We have picked a number of pumpkins in one of the patches to preserve the quality of the fruit. Some of these are displayed in the wagon parked by the road in front of the farm. 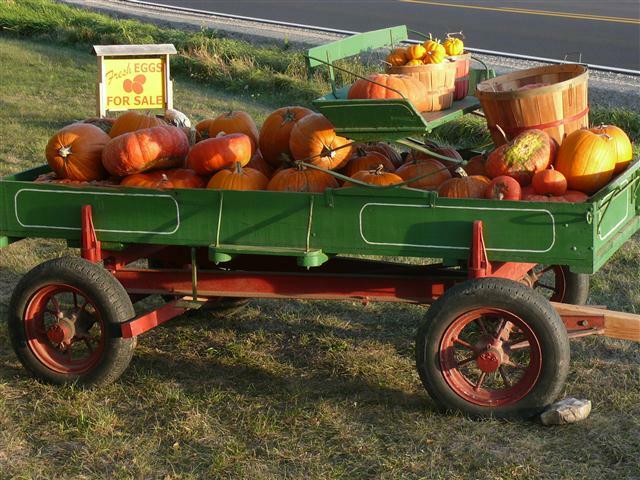 The wagon full of pumpkins as seen from the road in front of the farm. You pick your own pumpkins at our farm. The reddish colored pumpkins are a variety called Cinderella. The other large variety is the standard Jack-O-Lantern. Most of the pumpkins are on the large side, over 10″-12″ in diameter. Jack-O-Lantern and Cinderella pumpkin varieties. The small pumpkins are the Jack-Be-Little variety. We have been listed on the Pick Your Own Pumpkin website for several seasons. 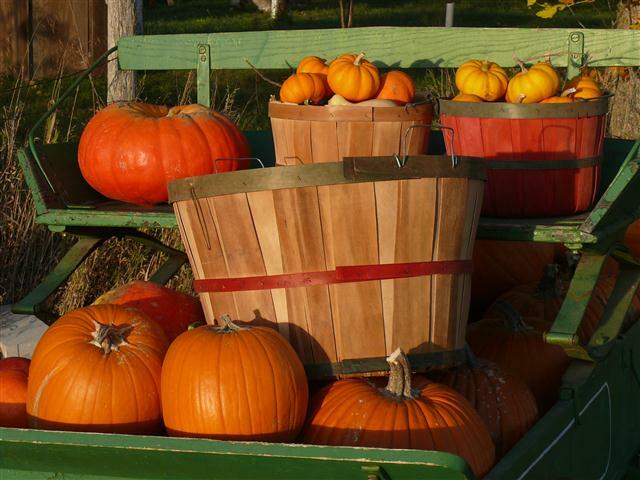 This is a good site to find a place to pick your own pumpkins, apples and other vegetables. Our farm is great place to bring children to pick a pumpkin. The patch is close to the parking area and the ground is generally level, making it easy for even very small kids to get to the pumpkin patch. As we explain on the Pick Your Own Pumpkin website, we have a farm with a pumpkin patch. We do not have a corn maze, haunted house, rides, gift shop or concession stand. A number of people have mentioned that they have really enjoyed their visit because it is a chance to see a real working farm. We include a brief tour of the farm, show how we grow our vegetables and offer an opportunity to feed the chickens and geese. If you are looking for some fall color, the trees are at their peak. Just like the pumpkins, the color in the leaves will only be around for a few more weeks. Come on out and enjoy the sights and the nice weather. 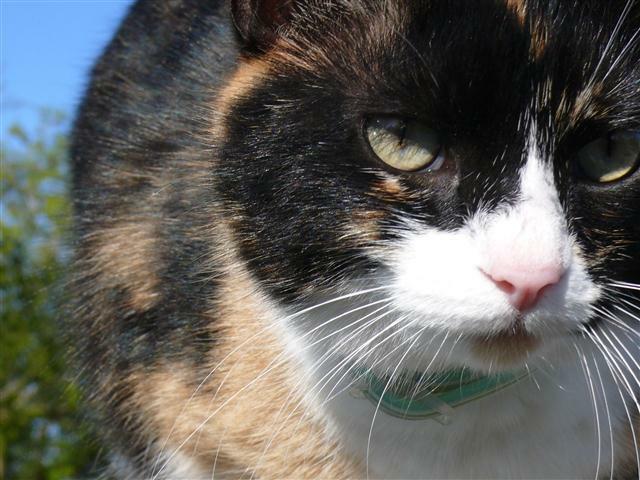 You might also get to meet one of our cats. Lady V helps out by catching mice in the barn. This entry was posted in Pumpkins and tagged pick your own pumpkins. Bookmark the permalink. Awww! Lady V looks so cute!! My neighbors love the pumpkins I put on our front step. Lady V has left on another trip. I haven’t seen her for a week or so.